Cass Business School's London location offers students access to top recruiters, placement opportunities and the chance to experience real business. Cass equips its students with the skills demanded by a fiercely competitive global marketplace. Getting into the City is a competitive business, and Cass can give you a head start. Cass is one of the only business schools in the City of London. Our academics have real-world industry experience in business, management and finance, so students benefit from a high level of support and advice from current practitioners. We work with all the major City employers and they help define our undergraduate course content. Cass students have an outstanding reputation with employers, which is why leading global companies such as Goldman Sachs and IBM recruit from Cass. According to the recent DHLE (Destination of Higher Education Leavers) report , an average of 88% of our students obtain related jobs or go on to further study after they graduate. Our undergraduate degrees are designed to help you get ahead in your career. You can study abroad at one of our 30 prestigious, highly-ranked partner universities, and help prepare yourself for the global employment market. You can also take a one-year paid placement with well-known global corporations, which will provide you with valuable, practical work experience. "The opportunity to undertake a placement as part of my degree was a major factor in my decision to apply for Cass Business School, alongside its location close to the City and the School's academic reputation. During my placement last year, I worked as a Corporate Actions Analyst for Morgan Stanley and this experience helped me to secure a place on a graduate scheme in the banking sector after I graduate. University is a life-changing experience; as the first in my family to go to university, I've really tried to make the most of every opportunity I've been given here." With over 2,300 people from over 90 countries studying our undergraduate programmes, our student body is a rich mix of cultures, backgrounds and perspectives. Cass students are typically focused, ambitious and entrepreneurial. We focus all our efforts on equipping you with the skills, confidence and networks you need to succeed in your chosen career. We will introduce you to leading practitioners and ensure that you leave Cass ready to operate in the real world. As a result, Cass graduates are well placed to take up a career with leading employers worldwide. If you want to play as hard as you work, where better than London? It is one of the world's great cities, offering all you could ask for in terms of socialising, culture, entertainment and sport. Not to mention an extraordinary range of potential employers. At Cass Business School, there is also fantastic networking opportunities for all undergraduate students meaning you can get a head start in your career. If you want to earn a meaningful degree in a dynamic, world class location with endless social and networking opportunities, Cass is the place for you. We know that rankings are all important to high achieving students when they make decisions about their future. So we're very proud that we do well in a lot of league tables, especially those that weight in favour of universities who deliver a top quality student experience and get their students into the best jobs at the best companies. That is where Cass's strengths really lie. We'll give you a great experience while you are here - and set you up for a great career. When you search the league tables, remember that we are part of City, University of London. We are therefore listed as 'City University' as this is how the results are compiled. All Cass's specific results can be seen if you separate into subject areas of 'business and management'. Cass has gained a reputation as the hub of intellectual business knowledge for the City of London. Not just because we're in the City, but because we're intrinsically linked with the City. We know what makes it tick, the inside rules and who's who. Our academics have been, or still are, bankers, traders and analysts. We also work with all the major City employers - in fact they help define our course content, so they get the best staff for their companies. Getting into the City is a competitive business, and Cass can give you that head start. Business is global. To succeed you have to know how to operate across the globe, not just in London. That's why students from all over the world want a Cass degree - they know it will take them to the places that matter. The content of our degrees broadens your horizons, especially as you'll be studying alongside people from an incredible variety of different countries and cultures. Cass will give you the hard currency to take with you when you enter the workplace. Cass students are focused on their career. They know what they want to achieve and they know that Cass will help them get there. Consequently, Cass students have an outstanding reputation with employers. The major banking institutions know that Cass students are highly selected, high achievers, with the right attitude - and a ready-to-go- to-work approach. That's why Cass is a target institution for leading global companies such as Goldman Sachs and IBM. And that's why our graduates find jobs straight away, often before they've finished their final year (especially those that have undertaken placements). With 2,300 people from over 90 countries studying our undergraduate programmes, our student body is a rich mix of cultures, backgrounds and perspectives. So what makes Cass right for such independent minded individuals? Above all, they all want a degree that will fulfil their aspirations in life. And they want to be challenged by innovative and future facing ideas in the process. Cass students tend to stand out from the crowd - they are typically focused, often entrepreneurial and always questioning. They are attracted to the idea of combining hard work with fun, and flourish in a social and learning environment that is constantly stimulating but never intimidating. Remember too that our campus is set in the heart of a vibrant urban environment. If you're looking to study beneath shady trees on the banks of a sleepy river, Cass is not for you! Studying at Cass combines two unique benefits: our school is in the hub of a truly global financial centre, which lies at the heart of a great world city. 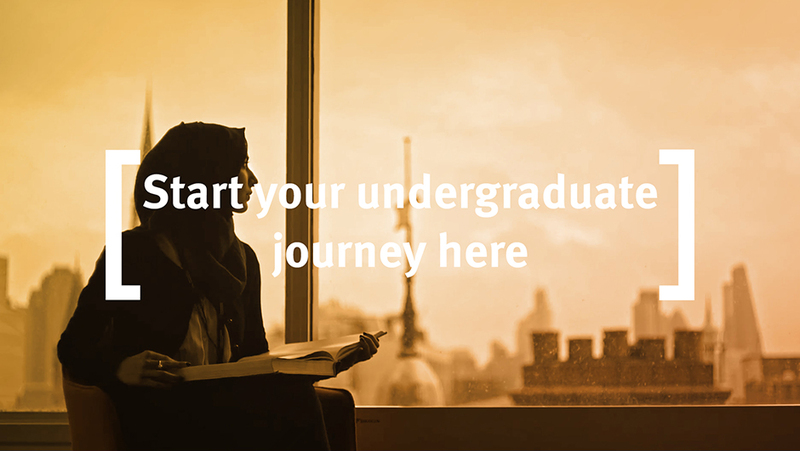 Ultimately, everything about the undergraduate programme at Cass is geared towards one thing - your career. Nobody is better placed or better prepared than Cass to propel you into a top career with the world's leading employers. Our location at the beating heart of the world's leading financial centre gives you remarkable access to its leading practitioners. Through those networks we know what's happening and why, and we constantly adjust our programmes to reflect the latest trends and realities. Moreover, you will be taught by academics with real knowledge of their subjects. That's because they have worked, or still work, in the City. We will ensure that you will leave Cass ready to operate in the real world. Many top employers know that, which is why they actively seek out Cass graduates. For more details of career options, check out the relevant pages in the section dedicated to the Cass Undergraduate programme you're interested in.